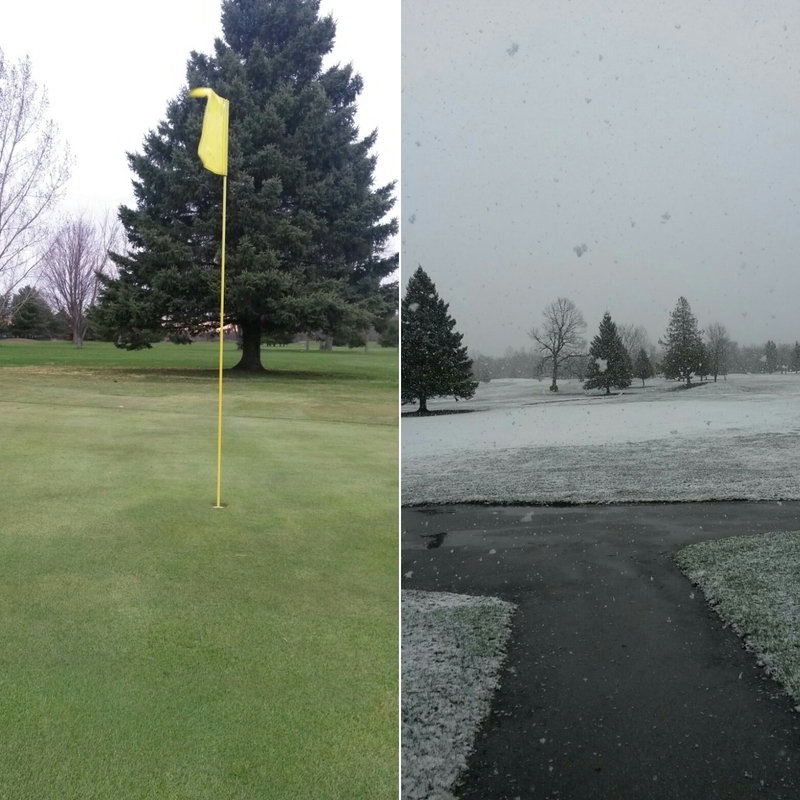 After what we hope is the last snow of the season our Flags are in and we are open (conditions permitting). Spring rates are in effect. #9 green this morning and then afternoon.